Pair of altar vases in mercury gilt bronze, Italy, second half of the 19th century. 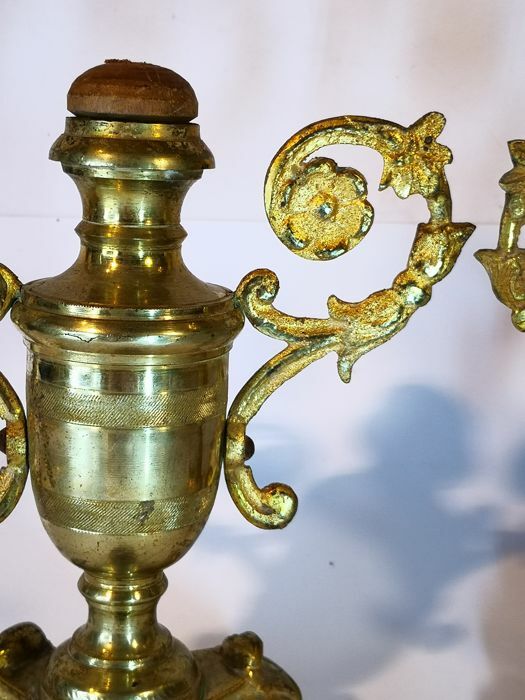 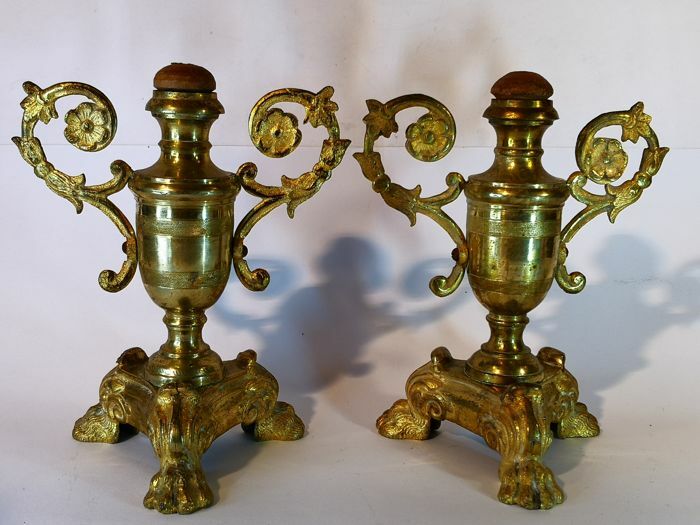 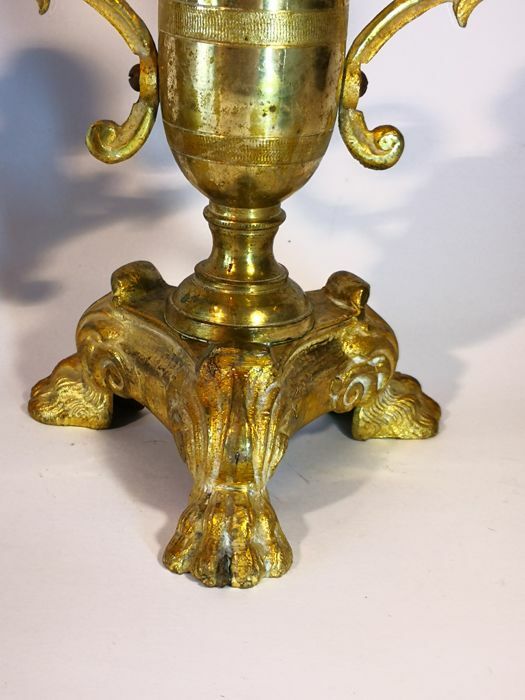 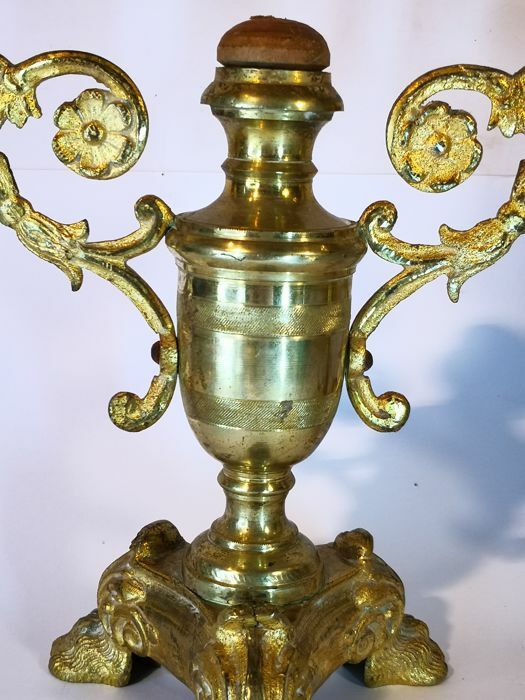 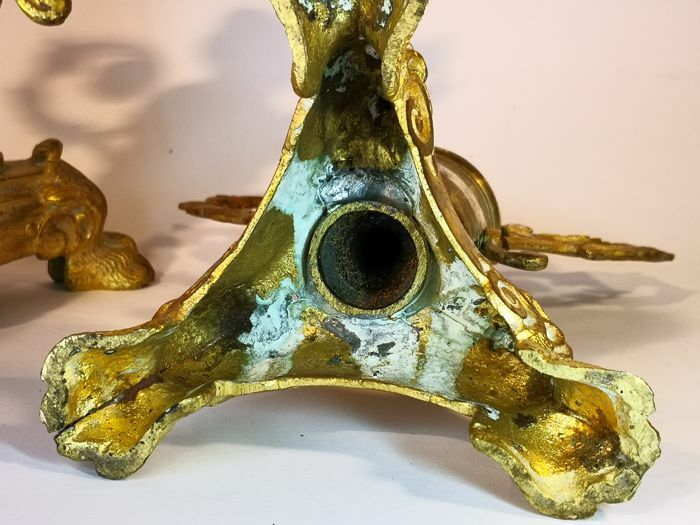 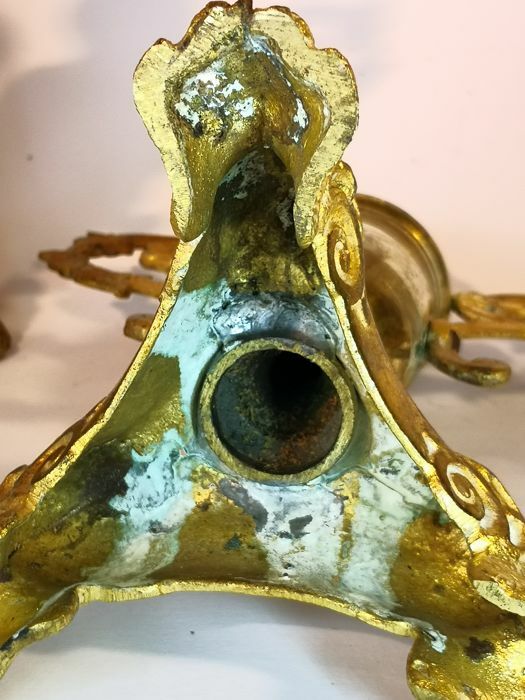 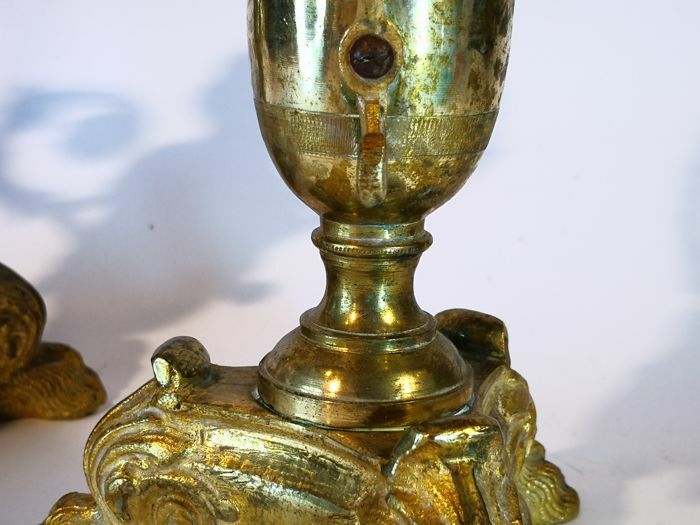 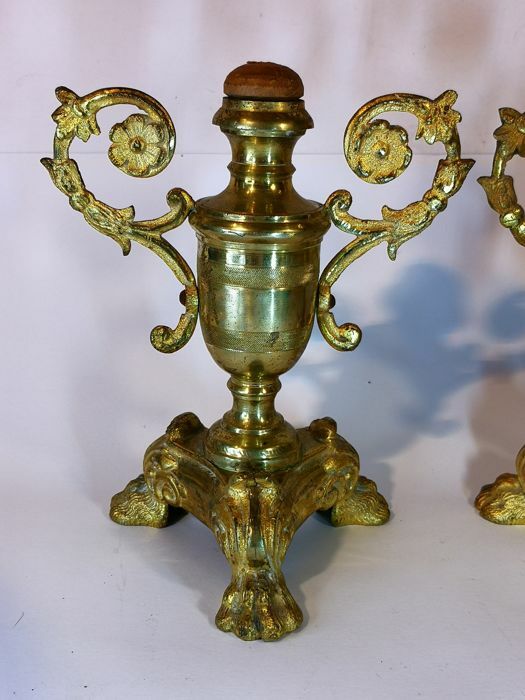 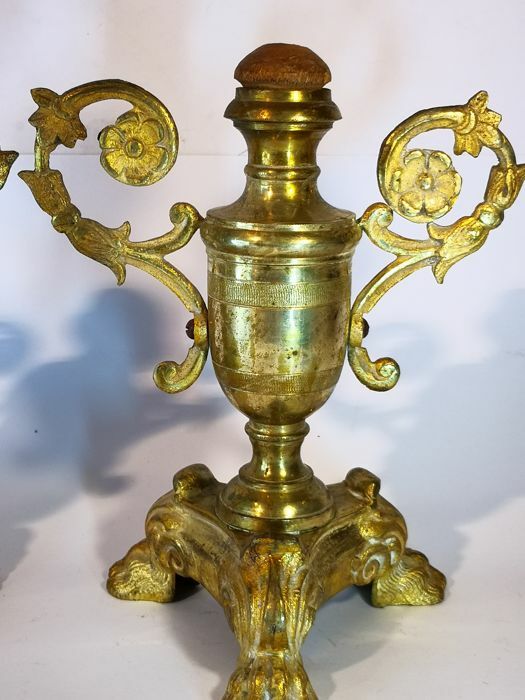 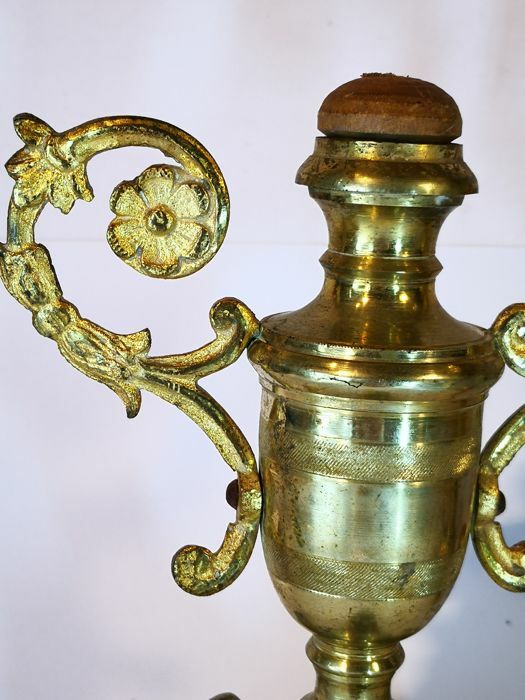 Valuable pair of finely mercury gilt bronze altar vases enriched with two finely chiselled lateral handles and decorations of flowers and leaves. 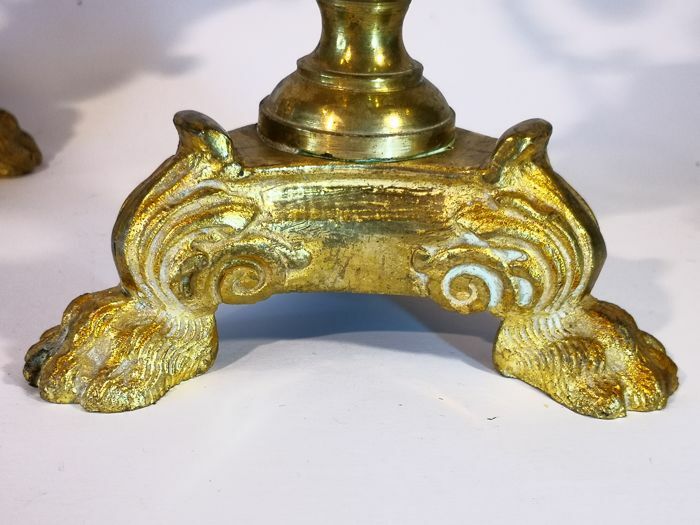 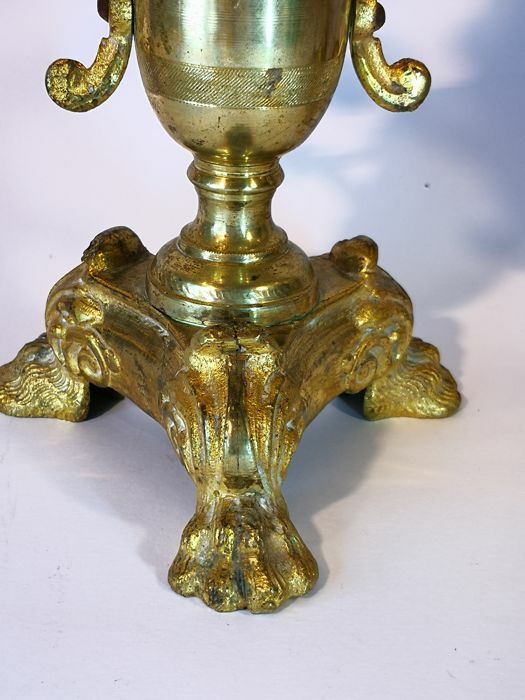 The triangular base features lion’s feet, which was very common between the 19th century and the early 20th century. 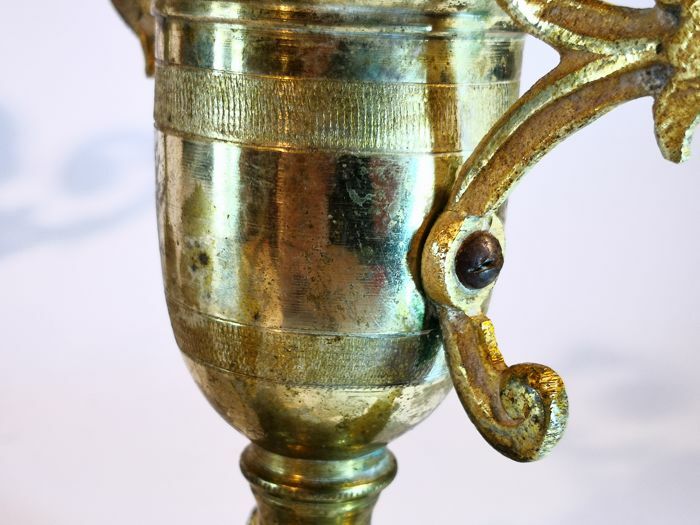 They are in excellent condition, even the gilding has no missing parts. 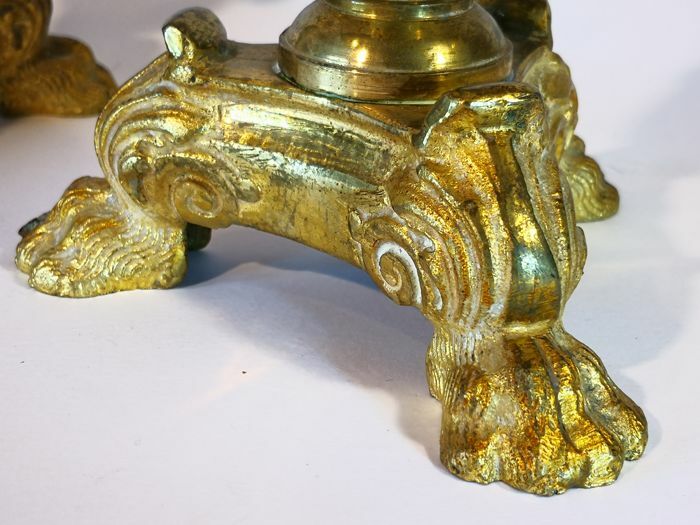 Valuable for their excellent workmanship and because they come in a pair. 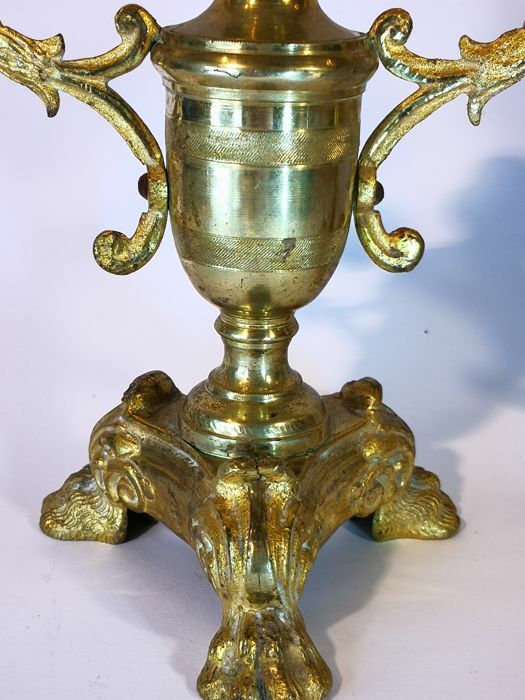 Size: Height 22 cm, Width 18.5 cm, Depth 11.5 cm.